A recent fire at a 16,000 square foot mansion on the waterfront in Anne Arundel County, Maryland, took the lives of six people including two grandparents and their four grandchildren. The cause of the fire, according to investigators, was a 16-foot tall Christmas tree that the owners left lit most of the time in the great room of the house. An electrical failure ignited the two-month-old tree, which swiftly fueled the fire in the rest of the house. The lack of a sprinkler system inside the house or fire hydrants and other water sources near the home made it extremely challenging for fire fighters who responded to the call. But that is just one example. The cold weather often means that people are spending more time at home and all of this time indoors increases the risks of house fires. 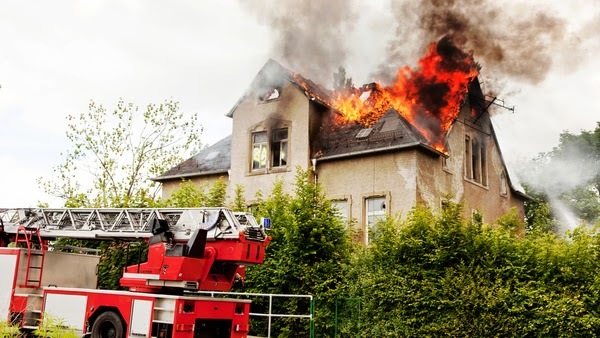 The National Fire Protection Association (NFPA) says there are more than 360,000 home structure fires each year, resulting in about $6-8 billion dollars in damage.